Entrance of Christmasworld in the morning. Already filled with visitors. Joyce Lansbergen of LG Flowers showing their gerberas. John Langeslag of LOEK Jansen. He is present at the floradecora for the first time and is presenting the concept Change of the Season. It is designed by a collective of outdoor plant growers and they are eager to roll it out to different garden centers. With this concept, they show how the consumer can design their plants during different seasons. This concept was also used in the Do it yourself store, one of the five pop-up stores in the Retail Boulevard. 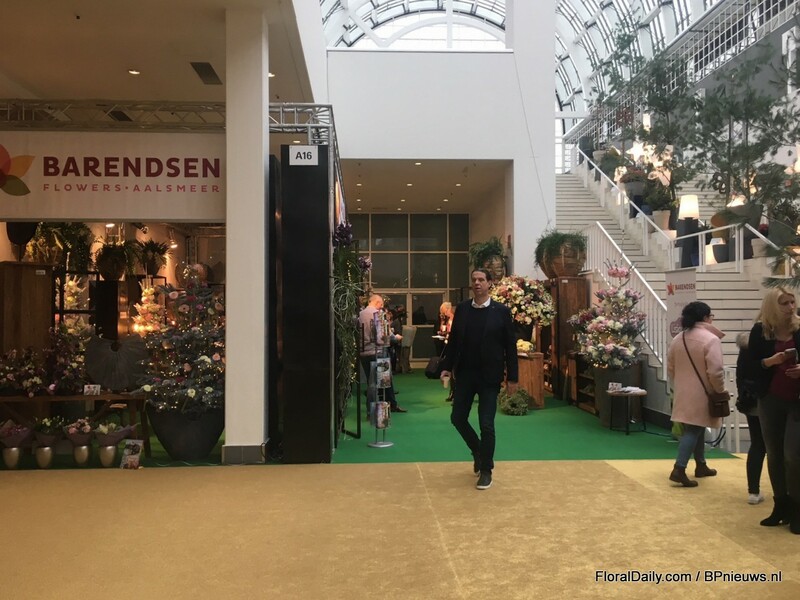 Auke Heins and Caroline Janknegt of Royal FloraHolland are exhibiting at the floradecora from the very beginning, showing the visitors how they can assist them when using fresh flowers and plants in their stores. The team at the Royal FloraHolland booth, from left to right: Anne Jan Steenbeek of Royal FloraHolland, John Langeslag of LOEK Jansen, Joyce Lansbergen of LG Flowers, Auke Heins and Caroline Janknegt of Royal FloraHolland. 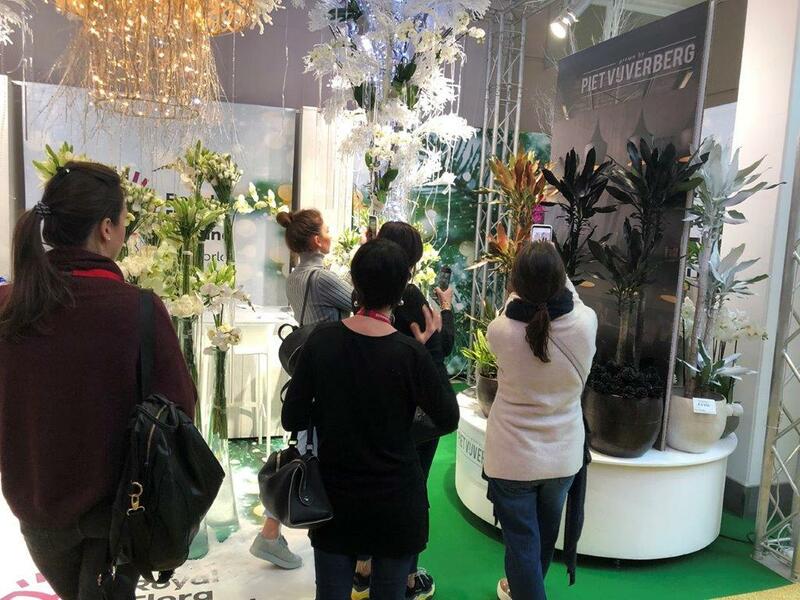 The Dracaena X-Mas of Piet Vijverberg in gold, black, bronze, and siilver attracted a lot of attention of the visitors. 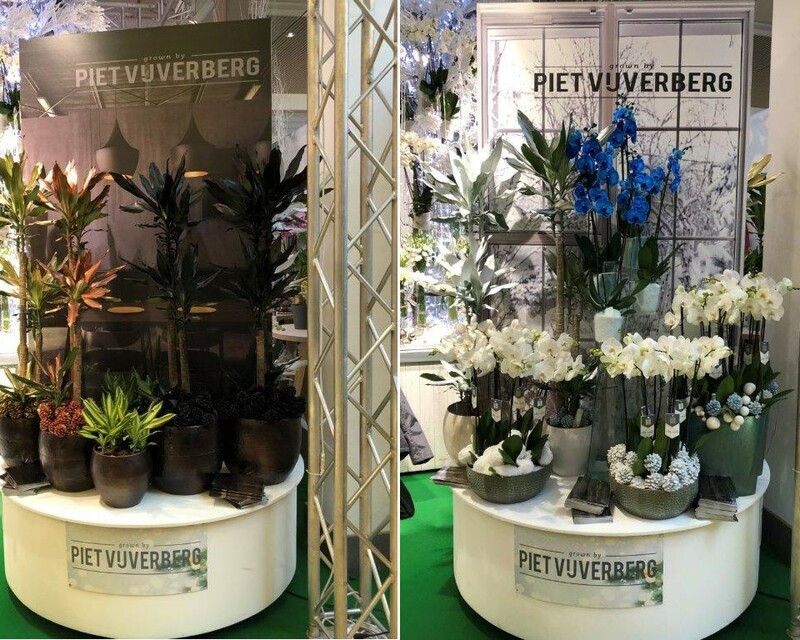 The display of Piet Vijverberg at the booth of Royal FloraHolland booth. John van der Wiel of Vilosa in the boot of Dümmen Orange. This Dutch kalanchoe grows the varieities of Dümmen Orange. The booth of Dümmen Orange right in the heart of Christmasworld. The furniture of Brosi in the booth of Barendsen. Dutch grower Gert Ubink of Ubink Cactus and Succulents presents their succulents in a winter decoration theme. "Succulents are ideal for decoration in restaurants, hotels or stores because of the low-maintenance and their modern and artistic style." Edwin van der Voort, representative of Houwen Plant. "The unique anthurium in the Diamond collection of Dutch grower Houwenplant brings elegance and a tropical feeling to the world of decoration. It will be available in mini format for table decoration as well." 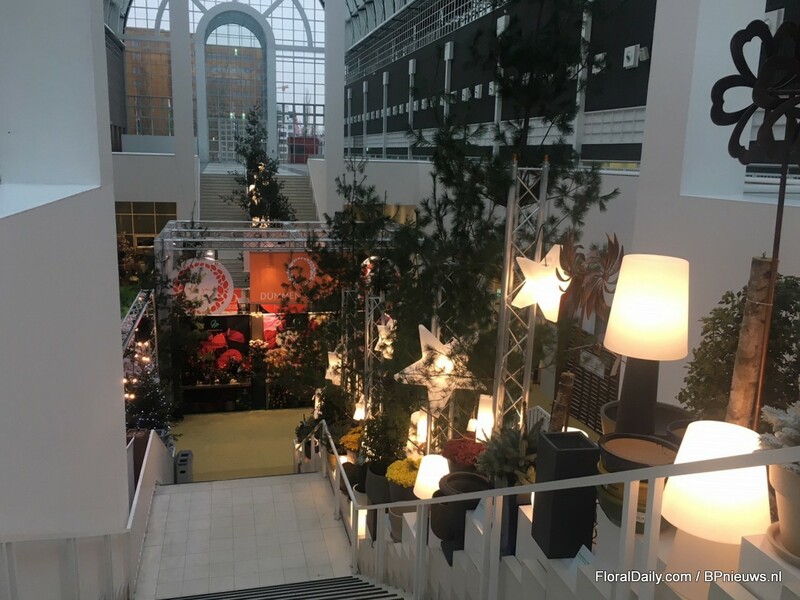 With its presence at Floradecora/Christmasworld, Dümmen Orange wants to make a statement to the plant and flower decoration industry. Sonja Dümmen, Project Manager for Dümmen Orange says: “We believe the world desires more green and with our fantastic products to decorate stores, hotels, cities and events we can make this happen. 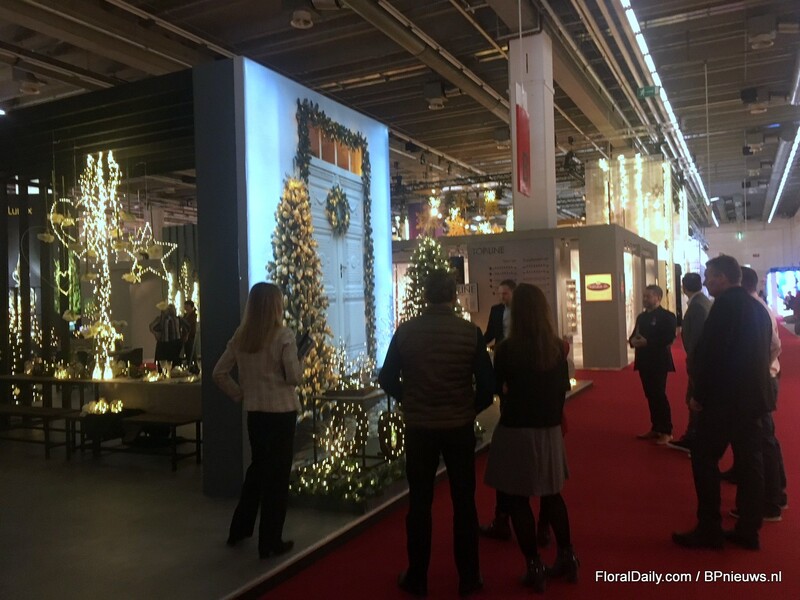 At Christmasworld we want to meet the world of decoration and make our product available to a wider audience. 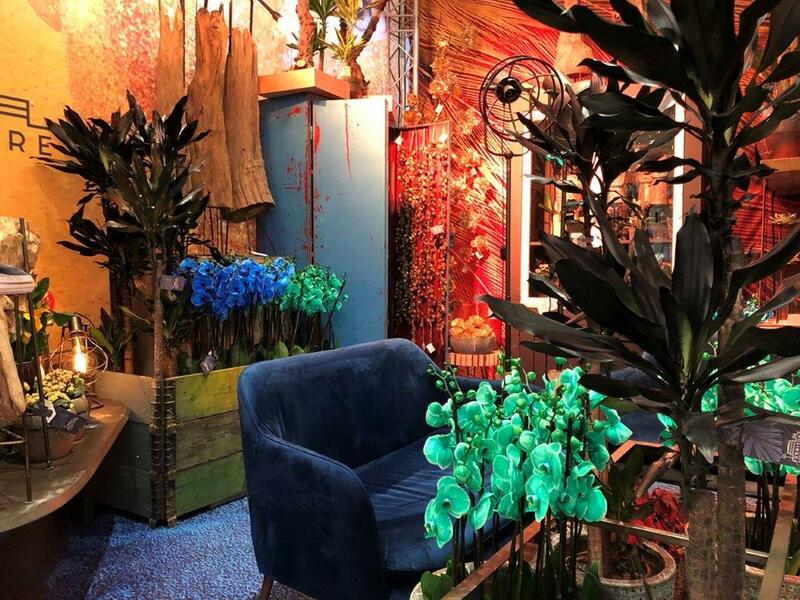 We can offer and supply flowers and plants to new target groups such as home decoration shops or furniture stores or by creating a more consumer orientated online availability”. Jan Bouten of Gartenbau Bouten from Germany showcases the new brand Freaky Leaves for Coleus. "This wild and natural colourful leaf plant creates attraction in modern and natural packaging." Marleen Zeeman of Airplant Shop presenting a plant that grows in the air, the Tillandsia. This natural alternative for the Christmas ball and many other natural decoration ideas are supplied and presented by Airplantsshop.nl. Michael Bosch of Bosch Plants at the booth of Dümmen Orange. This German pot plants company presents their chrysanthemum assortment ready to sell for autumn/winter 2019. Growers at the booth of Dümmen Orange talking with visitors. Caroline Haakman of Barendsen. Next to their own products, they also present the products of De Ruiter, Your Lily, Lisianthus group and furniture manufacturer Brosi. Barendsen presents Meet my Roses of De Ruiter. Last year, the FloraDecora was upstairs. This year, it is downstairs. Andre Schmidt of Holsteintanne. 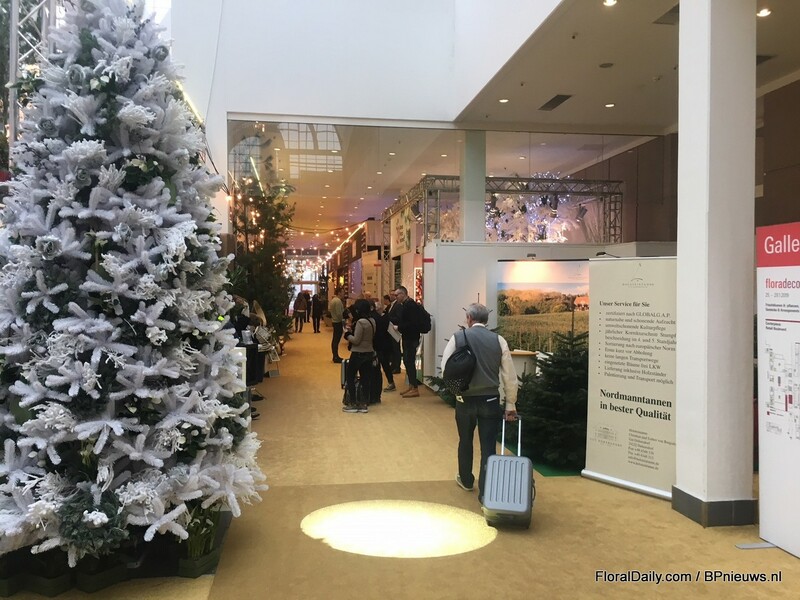 This German Christmas tree grower is the only fresh Christmas tree supplier present at the show. 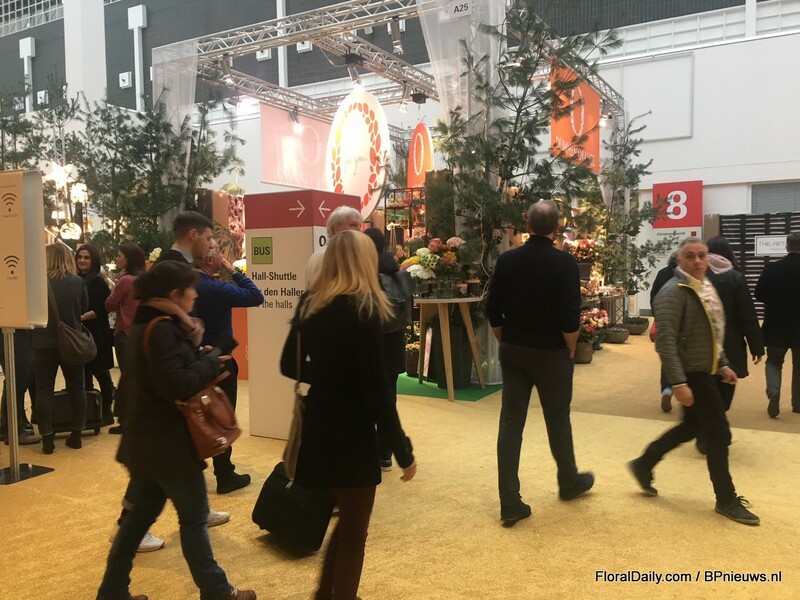 The team of Royal FloraHolland talking with visitors. Martin Kragh of Dymak was also visiting the show. Do it yourself store at the Retail Boulevard. 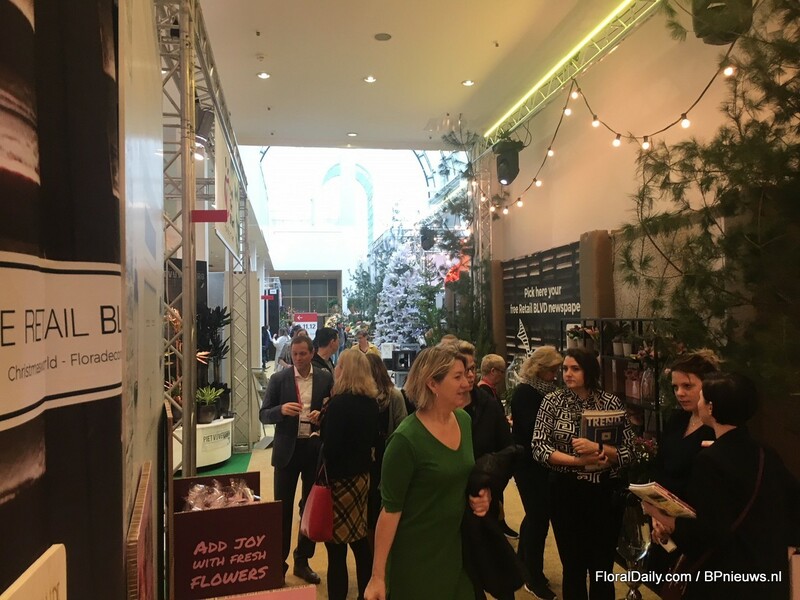 Visitors getting inspired by the pop-up stores at the Retail Boulevard. Visitors interested in the ideas presented at the Retail Boulevard. Furniture Store at the Retail Boulevard. 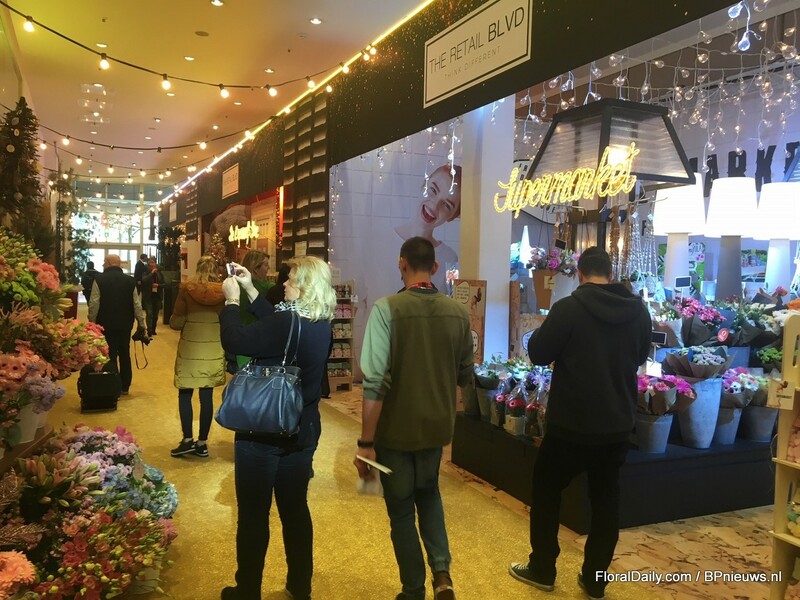 There was a lot of attention for the Retail Boulevard at Floradecora. Flower Store at the Retail Boulevard. 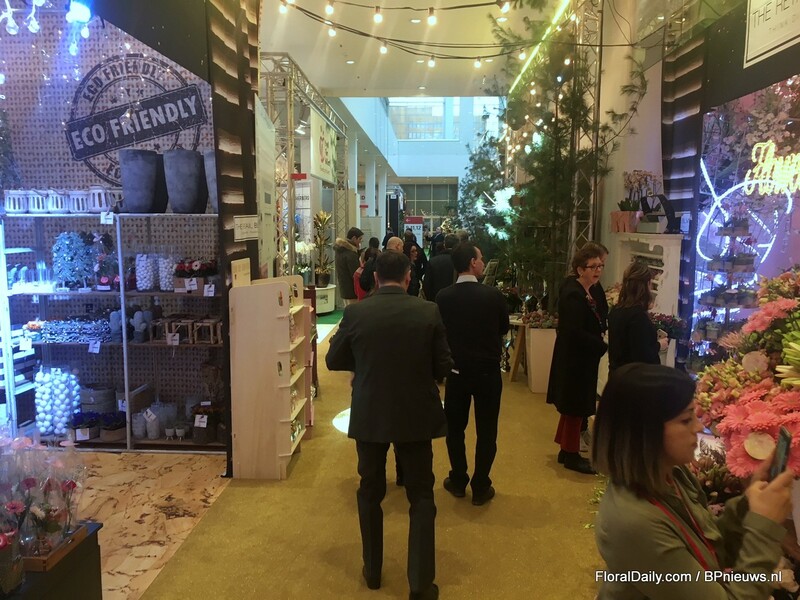 From Floradecora to the Retail Boulevard. The start of the Retail Boulevard. The ‘Kinemona Vintage’ special show from the Dutch design team of 2dezign inspires to take on board a whole new style of surface design. It combines saffron and gold tones with vintage elements and is set to plunge the Christmasworld visitors into a world of new and rather special experiences. On the picture, Rudi Tuinman. Yellow flowers in the ‘Kinemona Vintage’ special show of 2Dezign. ‘Kinemona Vintage’ special show of 2Dezign. ‘Kinemona Vintage’ : the special show of 2Dezign. The Draceana of Piet Vijverberg in the Furniture Store at the Retail Boulevard. 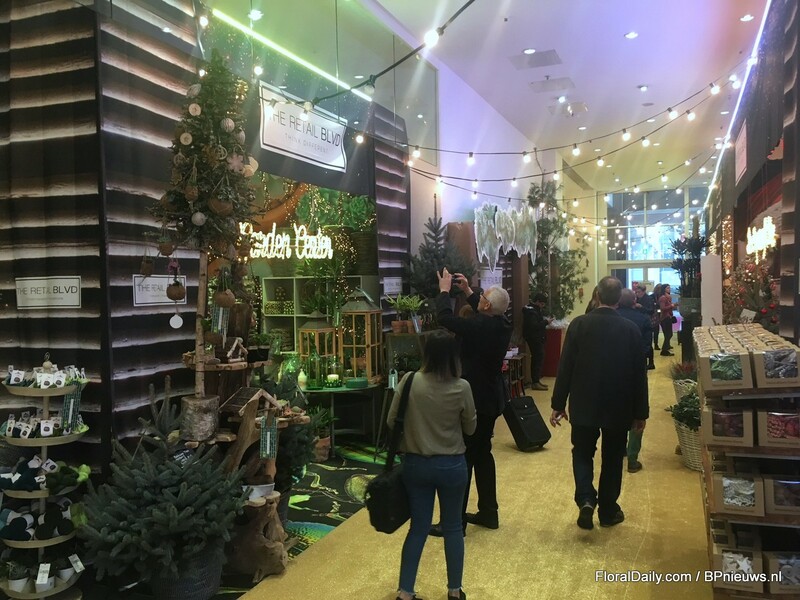 Christmasworld is one of worlds biggest fairs for Christmas decoration and therefore a popular event for press from all over the world to report it. Also in Chirstmas world, some exhibitors incorporate plants in their designs. 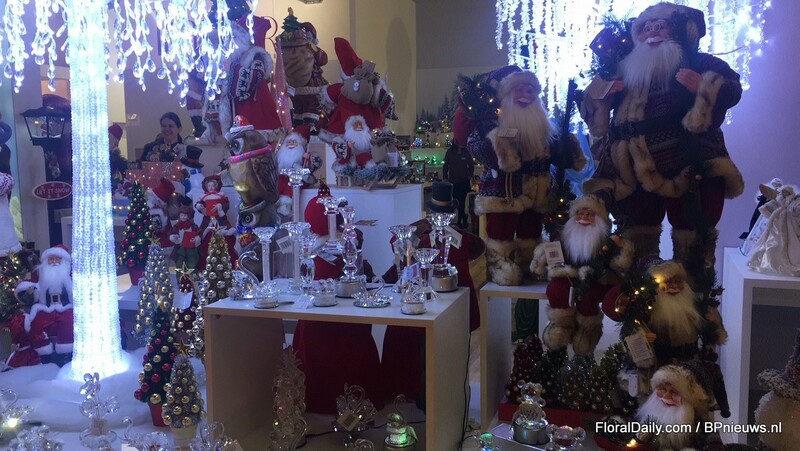 Of course, at Christmasworld Santa Claus cannot be missed out. Lights and more lights at Christmasworld.